Throughout the year, wooden fences take a beating from mother nature. They are susceptible to rising and lowering temperatures, rain, severe weather, and even bug infestations. Replacing parts or the whole fence can get very expensive very quickly, not to mention being a time consuming project. 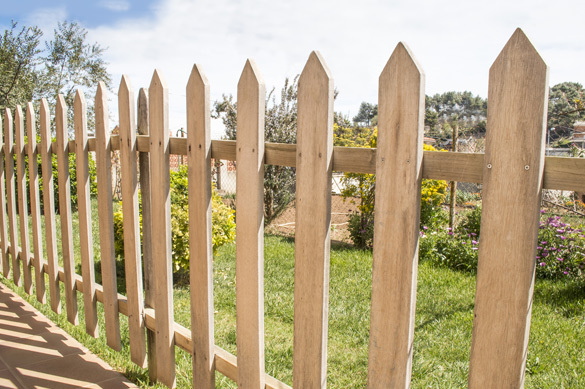 In this article, we will give you five maintenance tips on how to keep your wooden fence sturdy and sound year-round. Walk your fence frequently in search of built up leaves, brush, debris, or litter along its base and around the posts. Accumulating debris against the wood traps moisture and leads to the penetration of the wood, eventually causing decay and weakening the fence structure. Remove fallen leaves,trash, and debris from along the base or kick boards of your fence. Also, cut back densely growing grass from around the kick boards, posts, and the base, as it will retain moisture as well. 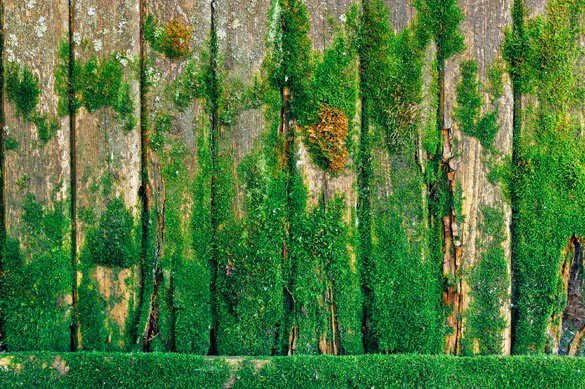 As trees age, there are two components which will threaten the integrity of your fence. The Roots – Below ground, the root system of a tree is designed to seek out water. As the roots travel, they can buckle concrete, invade pipe systems, and push a fence up or out of their way. Plant trees or build fences leaving enough space for their growth and safety. Everything Else – Above ground, the trunk and branches (if they fall) will destroy sections of a fence, if not the fence in its entirety. Professional and regular tree maintenance, including tree pruning and cutting will help to avoid either of these potential dangers. However, some trees will topple in severe weather or suffer a lightning strike. Some events cannot be foreseen. Untreated wood left to the elements will decay and deteriorate very quickly. While there are several types of heat or pressure treated wood, it ends up running the cost of the wood up dramatically. 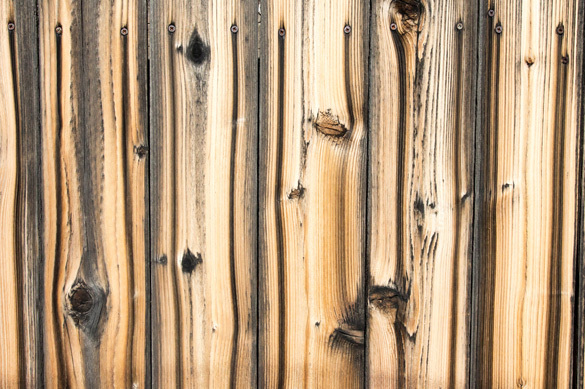 Using a waterproof stain, sealant, or paint will help to prevent splitting, knotting, and splintering while considerably extending the life of your wooden fence. It will also protect the metal components (brackets, rails, screws, and nails) from rust and bleeding. Another benefit of well applied stain, paint, or sealant is a deterrence for bug infestations. If by chance, an infestation is detected, it is critically important to remove and replace the affected area (more on this later). At times, the fury of mother nature is turned loose on us. 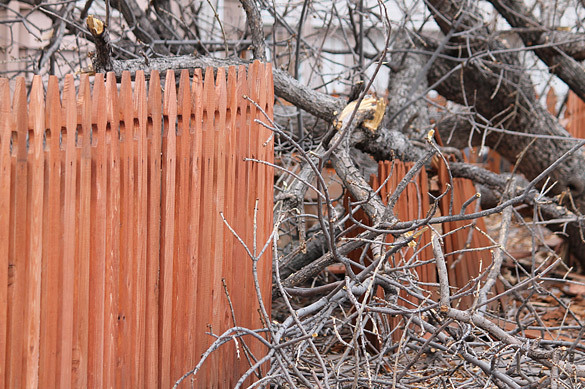 After severe weather events, especially those with sustained high winds, it is important to inspect your fence for damages and weakened components. Pay special attention to gates, because they are a moving part, and can be shaken loose or broken more easily. Extreme temperature fluctuations will, over time, cause a wooden fence to weaken and eventually fail. This is due to the expansion in the heat and the shrinking in the cold. Wood that has been treated or properly sealed will resist this type of damage for a much longer period. Splintering – Sand the affected area and apply a waterproof stain, paint, or sealant. When the damage is too severe, replace the affected area. Knotting – This occurs with the expansion and contraction of the wood in severe temperature swings. Literally, the wood expands and allows the knot to fall out, leaving a hole behind. Proper sealing or painting will help to prevent knotting. In the event the damage already occurred, replacing the area is best. Protruding Nails and Screws – Scrapes, puncture wounds, and severe cuts are just a few of the dangers of leaving protruding nails and screws on your fence. Drive the nails back in and tighten the screws flush to the wood. Refinishing the area with waterproof stain, paint, or sealant will reinforce and help keep them in their place. 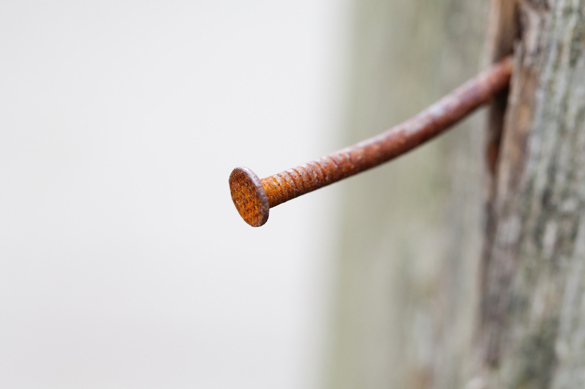 Bleeding – As Nails and screws age, while being exposed to the elements they may begin to oxidize or rust. As this occurs, rain or moisture will carry the rust or oxidation in a downward direction, leaving dark stains in streaks known as “bleeding”. If this begins to happen, a deeper inspection of the fence may reveal the necessity to replace the nails or screws throughout a section of the fence, ending with the proper application of waterproof stain, paint, or sealant to prevent a recurrence. 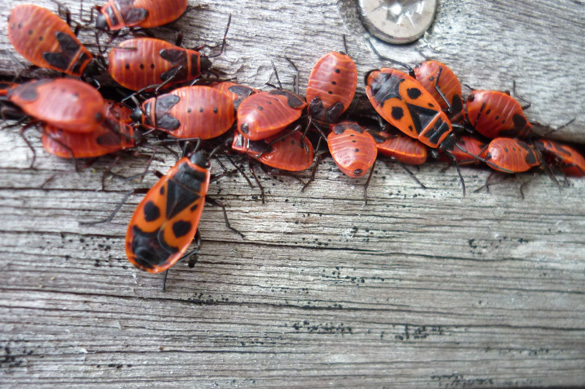 Infestations – If a bug infestation is detected, especially ones that bore into the wood, that section of the fence should be treated or replaced immediately. Call an arborist or tree professional and have all surrounding trees inspected for infestations. NOTE: This cannot be stressed enough. Infestations that spread to trees can cause the tree to become diseased or die. Diseased and dying trees will fall much more frequently in storms with the potential to cause catastrophic property damage and even loss of life. 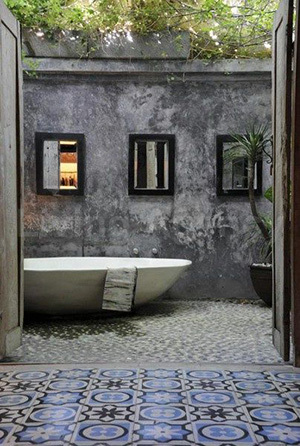 Moisture – Mold, mildew, and bacteria causing decay all require constant moisture to perpetuate. If left unchecked, portions or sections of your fence may begin to rot, fall away, and cause the fence to fail. 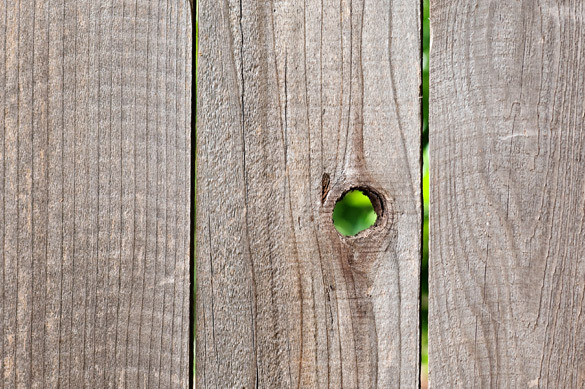 An underlying benefit to investing time in the proper upkeep of your home’s wooden fence is the added value to your property. In short, keep leaves, debris, and grass away from posts, kick boards, and the bottom of your fence. 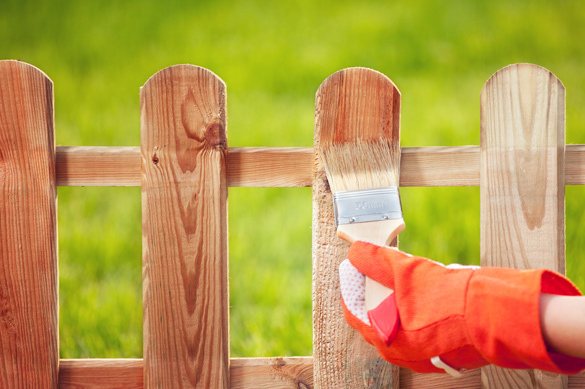 Also, ensure that the fence is properly stained, sealed, or painted from top to bottom. A home’s curb appeal will also be affected by the appearance of a surrounding fence. The better kept the fence is, the more heightened the curb appeal will be along with your home’s value. 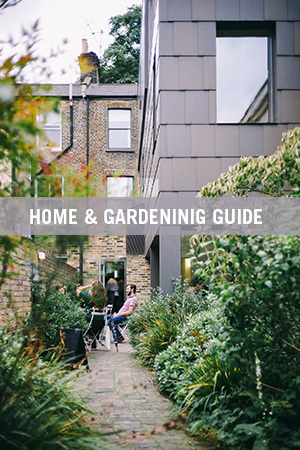 Visit www.homeandgardeningguide.com/repairs/exterior/ for more home exterior repairs and maintenance articles, resources, and how-to tips.